What makes this restaurant tick? If you happen to wander down East Cary Street in the Shockoe Slip of Richmond, Virginia, you will come across The Tobacco Company Restaurant: a four-story venue comprised of two dining floors, a cocktail lounge with live music, and a popular nightclub and dance floor. The restaurant is celebrating over 36 years as Richmond’s dining and entertainment spot. The building, formerly a tobacco warehouse, has been standing since 1866. The restaurant took over in July of 1977, when Jearald Cable saw the possible success in starting a restaurant in Shockoe Slip. All brickwork, heavy beams, and columns that customers see today are original to the building. The Tobacco Company Restaurant’s menu is filled with delicious options, each one never failing to disappoint. The specials are also always spectacular. However, there are a few delights on the main menu that the restaurant’s regulars find to be go-tos. The Fried Yellow Tomatoes are easy to please. 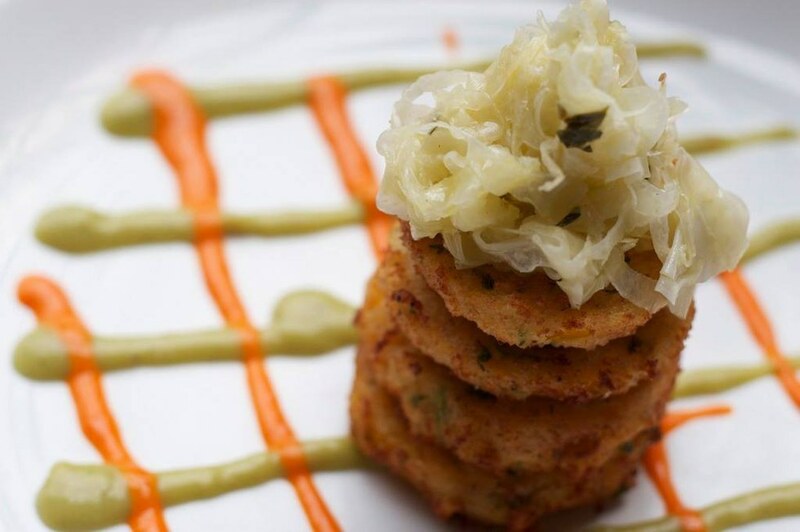 A vegetarian appetizer comprised of southern-style vine ripened yellow tomatoes, breaded and deep fried, served with roasted red pepper vinaigrette and pesto mayonnaise. 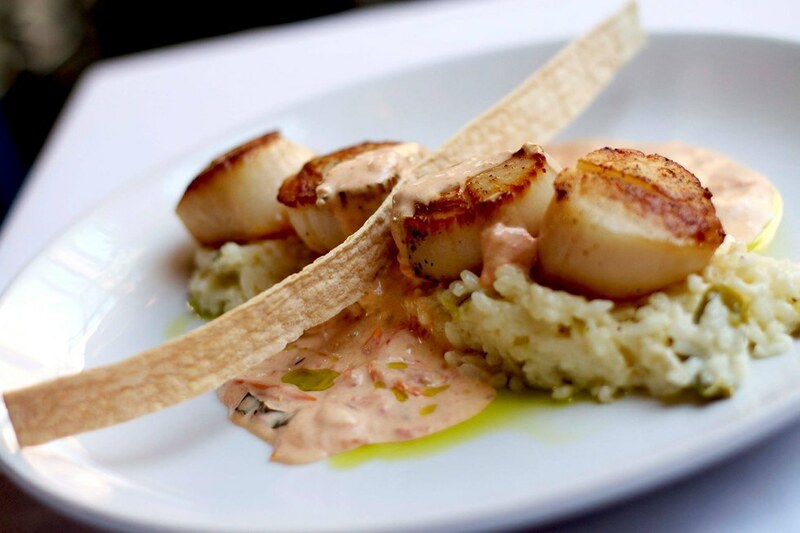 The Seared Scallops are not only a customer favorite, but a staff favorite as well. The pan seared diver sea scallops are served over roasted green pepper risotto, finished with caramelized grape tomato cream sauce and crisp flat bread. 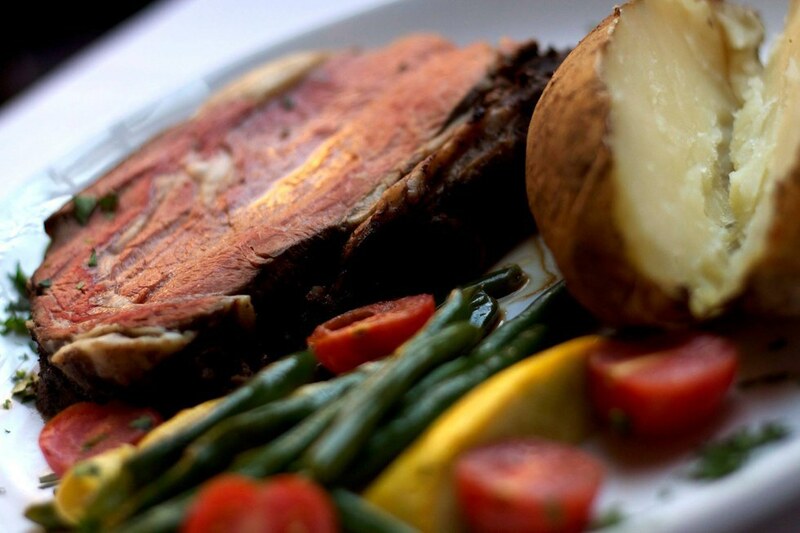 The Slow Roasted Prime Rib of Beef has been a signature entrée item for the past 37 years. The dish consists of 12 ounces of slowly roasted prime rib served with au jus, baked potato, and vegetable du jour. Diners should not leave The Tobacco Company Restaurant without ordering dessert. The Butter Cake is the restaurant’s signature dessert. 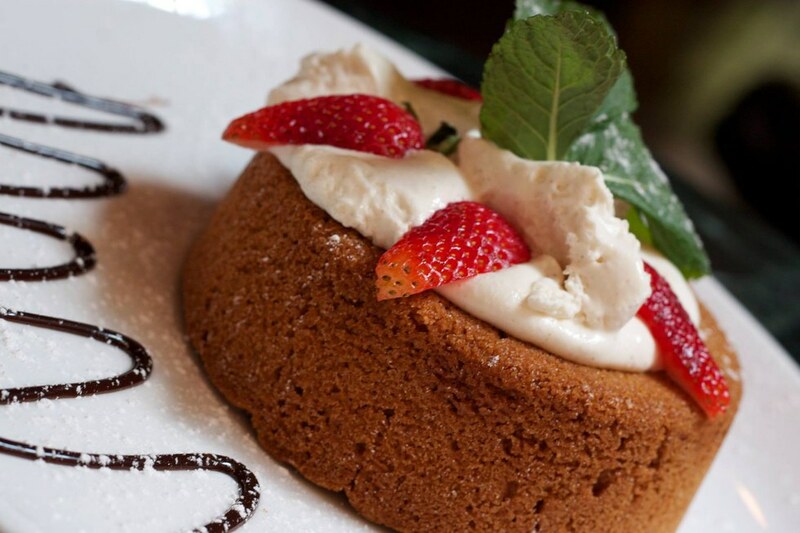 The moist cake is blended with extra butter and cream cheese before baking, served warm, and topped with vanilla ice cream, strawberries, and chocolate sauce. Although these signature dishes are fan favorites, you will be satisfied with anything off The Tobacco Company Restaurant menu. Go to www.thetobaccocompany.com to make a reservation today.